Nike debuts the re-designed CTR360 Maestri III football boot, built for midfielders looking for optimal ball control. Nike debuts the new re-designed CTR360 Maestri III football boot, built for midfielders looking for optimal ball control. The revamped CTR360 Maestri III uses a Kanga-lite synthetic upper equipped with All Conditions Control (ACC) technology, allowing for consistent control in any weather. 3D control pads hug the arch for improved receiving and passing accuracy, while a dimpled, textured midfoot increases friction, further helping players with their touch. 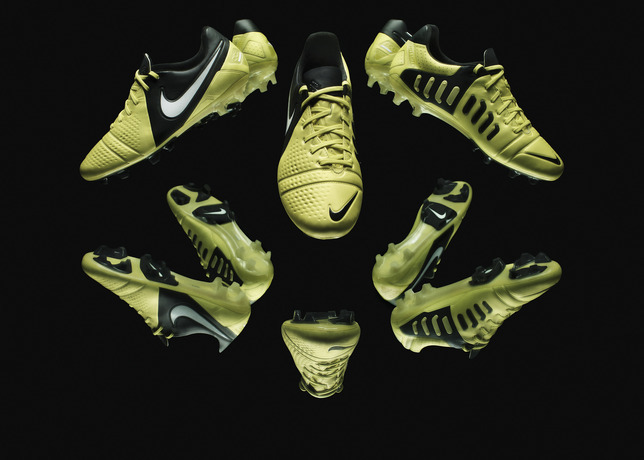 Take a closer look at the Nike CTR360 Maestri III in the video below.